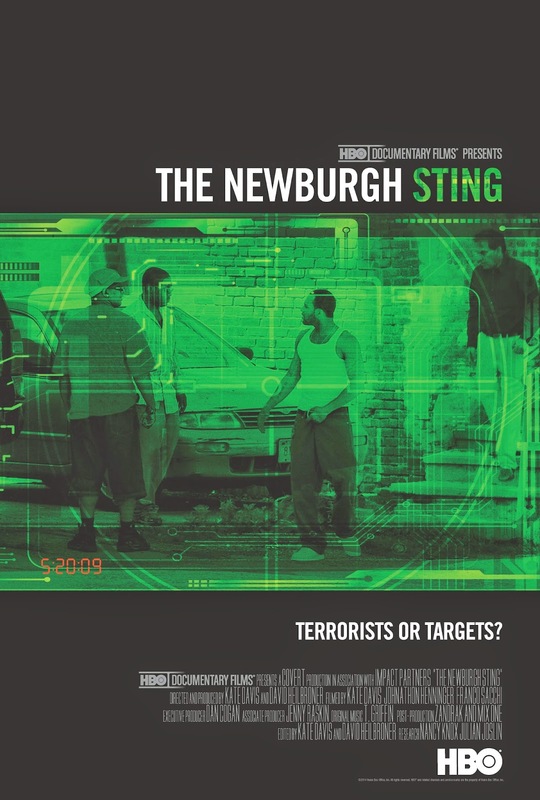 The creation of Muslim terrorists by FBI in "The Newburgh Sting"
If you have a chance, check out a new documentary on HBO, The Newburgh Sting. It is sad and tragic. Here you have an FBI undercover agent recruiting 3 African Americans and one Haitian immigrant - all from a poor upstate New York town of Newburgh - into a terrorist plot. The FBI agent is sleazy and drives around in a Mercedes or in his one of two BMWs. Oh - and this undercover agent happens to a Pakistani (oh why oh why??) who was convicted on some petty crime. The problem is that the people at the local mosque immediately saw through his sleaziness and did not want to engage with him. But he managed to lure four other people - unrelated to the mosque - for a plan that he (and the FBI) concocted in exchange for $250,000! Furthermore, it is the FBI agent (and the FBI) that comes up with plan and the means to acquire weapons and bombs to carry out with the plan. The four suspects on their own could not have managed anything! So the FBI created the terrorists and then caught them, thus justifying the very existence of the FBI. Whoaa!? But this is not it. The sleaziest part of the FBI sting is that it is the FBI agent (and the FBI) that insisted on picking the Jewish cultural center in NYC as its main target. This provided the perfect headlines, and one of the suspects provided the requisite anti-semitic remarks. And the media, of course, went nuts over the case. It was too tempting. Here are Muslim terrorists, who met at the local mosque, trying to blow up a Jewish cultural center. One slight problem: They never met at the mosque, were not practicing Muslims, and the plan was hatched by the FBI. Furthermore, the FBI agent made sure that they go out of state (to Connecticut) to obtain "weapons", so this can be turned into a federal case for the use of FBI. Oh - and it is the FBI agent who insists that the hired guns have to be Muslims. This all sounds like bad fiction. Unfortunately, this is a documentary that features much of FBI's own footage. Here is the full movie: Sorry it got pulled down. You will have to watch it on HBO or some other service.